Isabelle Adjani (born June 27, 1955) is a French actress acclaimed for portraying tragic heroines. Her performance in Truffaut's The Story of Adèle H. has been widely acclaimed, and she has won four Cesar Awards and twice been nominated for a Best Actress Oscar. Isabelle Adjani was born in Paris on June 27, 1955 to an an Algerian father and a German mother. She grew up in a working-class suburb of Paris speaking German as a first language. She began acting in amateur theatre at the age of twelve and appeared in her first movie at the age of 14. She joined the Comedie Francaise theatre company in 1972, where she gained fame as a classical actress, winning acclaim for her roles in Moliere’s L’Ecole des femmes and Giraudoux’s Ondine. She caused controversy, however, by quitting the company to pursue a career in cinema. She first attracted notice in film, playing the daughter in La Gifle (1974). This was followed by her breakthrough role in Francois Truffaut’s The Story of Adele H. She received critical acclaim for her performance, culminating in a Best Actress Oscar Nomination. After the nomination came offers for roles in Hollywood movies such as Walter Hill’s 1978 crime thriller The Driver. Over the following years, Adjani became an international star on the strength of both her talent and beauty. In 1981, she received the Cannes Film Festival best actress award for the Merchant Ivory film Quartet based on the novel by Jean Rhys. Also in 1981, Adjani received a Cesar award for Possession. She won a second Cesar for her role in L’Ete meurtrier (One Deadly Summer) (1983) and her third for playing a sculptor in Camille Claudel (1988), a film which also brought another Best Actress Oscar nomination. She won a record fourth Cesar for La Reine Margot (1994). 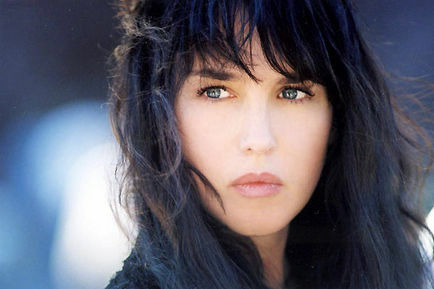 Following these successes, Adjani returned to Hollywood for a remake of Diabolique (1996), the film however proved a disappointment and since then she has appeared in only a handful of films including the lead in Bon Voyage (2003) and a cameo in Monsieur Ibrahim et les fleurs du Coran (2003). As she explained at the time she left the Comedie Francaise, work is not her all-consuming passion. In the past decade she has devoted most of her time to her private life, which includes being the mother of two children.